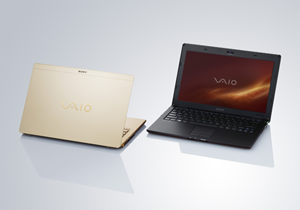 Yesterday, Sony announced the release of their new VAIO X Series ultra-thin, ultra-light 11-inch notebook. I had a chance to play with it at a Sony event recently in New York City and there's a lot to like about it. But the 2.0 GHz Intel Atom processor and small 64GB hard drive place the X Series squarely in the netbook category (see Should You Buy a Netbook or a Notebook), while the $1299 starting price tag (about $1000 more than most other netbooks) puts it out of reach for typical netbook buyers. So what's to like? Well, the form factor is just amazing. Sony has done a fantastic job squeezing down the X Series to 1.6 pounds and half an inch in thickness. As a point of comparison, the X Series is around the same size and weight as a couple of magazines. To accomplish this feat of shrinkage, Sony uses carbon-fiber and aluminum for the body, a super-thin LED backlit LCD screen, an Intel Atom processor and a solid state hard drive. In addition to being smaller and lighter than normal hard drives, solid state drives have no moving parts, which makes them much more resistant to damage from rough handling and faster at accessing data. Another standout feature with the X Series is battery life—up to 3.5 hours for the standard battery and up to 14 hours for the super-extended capacity battery. That's enough battery power to get you to London and back. Both the standard and extended batteries are included with purchase. As further justification for its exclusive price, Sony also throws in an integrated Verizon Wireless 3G Mobile Broadband adapter and real-time GPS functionality. The GPS does not require an Internet connection, and can provide driving directions anywhere in the U.S. or Canada or find points of interest, such as nearby restaurants. Unfortunately, the focus on form comes at a cost to performance. The 2.0 GHz Atom processor will be fine for most common tasks, such a Internet browsing, email, office applications or listening to music. But you can forget about photo/video editing and gaming. We haven't had the opportunity to analyze movie watching ability, but other Atom-based netbooks have had mixed performance. And the solid state drive on the basic model is only 64GB. So, you're not going to have much room to store videos, photos and mp3 files. A 128GB drive, still relatively small, ups the price to $1499. Given its performance limitations, the X Series will definitely not be your primary PC. When you take the package as a whole, I see the appeal of the X Series for a niche of business travelers whose focus is entirely on portability and for whom price is no object. But, like the X Series, I suspect that niche is ultra-thin. The X Series will come with with Windows® 7 Home Premium and will be available shortly after the Windows 7 release on October 22nd. To learn more about laptop features and models, see our Laptop Buying Guide.